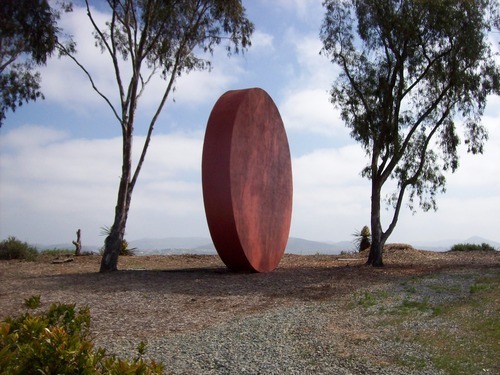 It was a long day in North San Diego County. Part of it involved me playing a little golf (hence this review) and the other part involved me watching a little golf played at a much higher level than I’m used to seeing (more on that later). 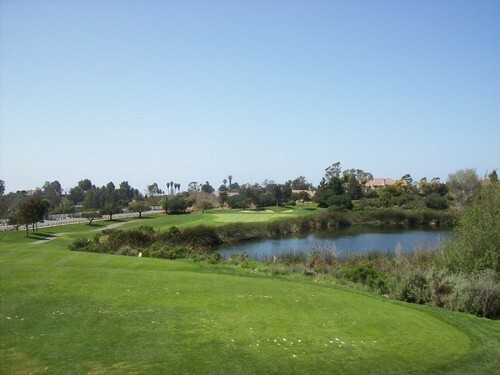 Today’s course selection was Encinitas Ranch Golf Course in, where else but Encinitas, CA! This was an ideal time to finally check out this course. 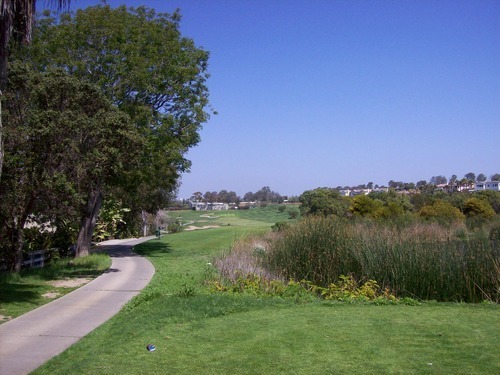 I had recently bought a deal online that was $59, good for a round (any day/time) on any of the JC Golf Courses. 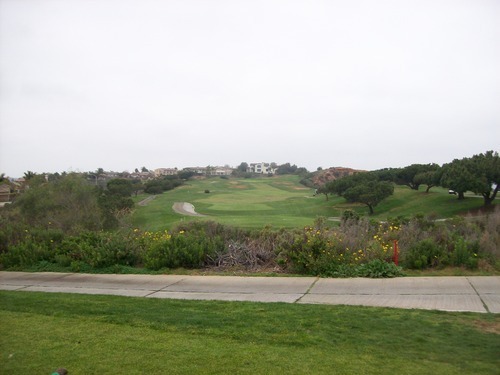 Other than the executive courses, I’ve played all the others in their repertoire, so using the voucher for Encinitas Ranch was an obvious choice. I showed up relatively early (a little after 7:00). I am normally no longer a fan of “wait list” golf, but it was my only option here today. Unfortunately, I was way down on the waiting list and it wasn’t until 9:00 before I actually got out. The pace of play was just under 4.5 hours, so not bad for a busy weekend morning. The starter, Chuck, was great. He kept me up to date with my chances of getting out and kept the first tee organized and running on time. 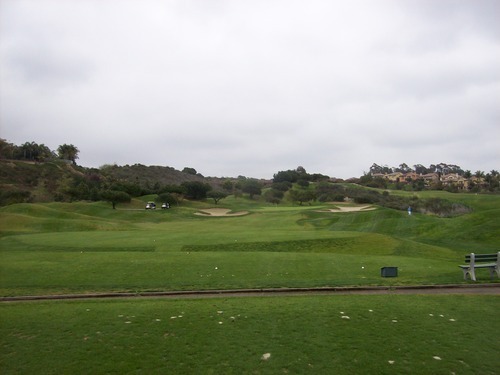 Even though it makes walking on a little harder, I do really like that the Encinitas Ranch sets 10 minute tee times as it keeps the groups fairly evenly spaced. We still had to wait a number of times, but it was still better than muni courses that send off fivesomes every 5-7 minutes on a weekend morning! 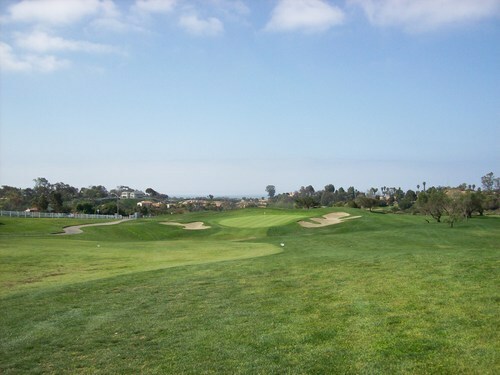 Last weekend, I played with a guy from San Diego and mentioned I was planning to play Encinitas Ranch this weekend. 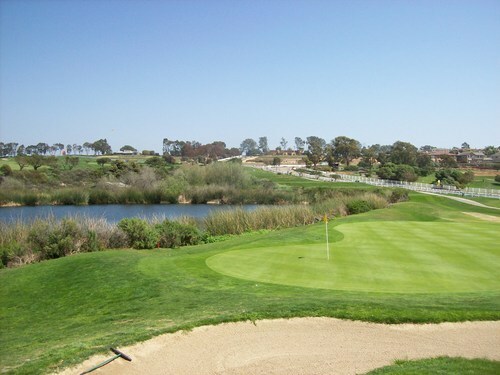 His words were “it’s nothing too special.” That lowered my expectations a bit, so I found myself pleasantly surprised after playing the course. I had read online that the layout is very forgiving from tee to green. 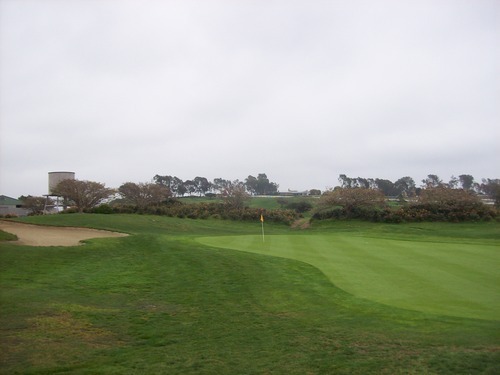 There are wide landing areas, few hazards/fairway bunkers and only a small smattering of trees. 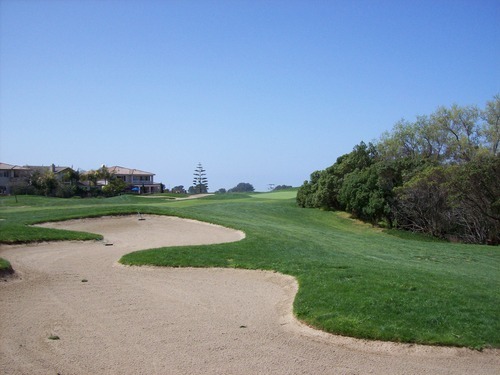 That is true for the most part, but there’s a number of unique and challenging holes mixed in, as well. 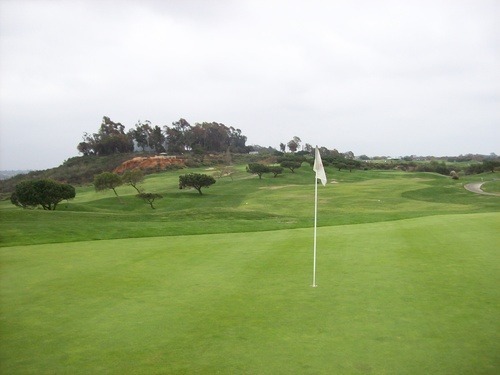 The greens are large and have plenty of subtle breaks. 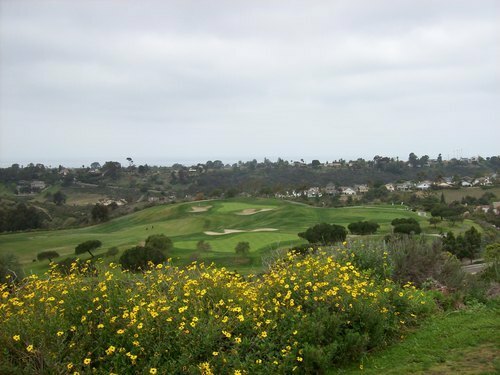 Like most coastal courses, everything breaks naturally toward the ocean (except when you want it to). 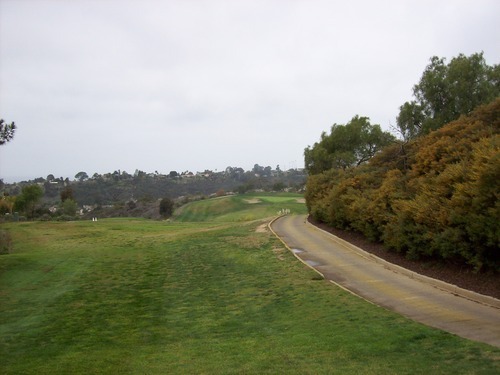 The first few holes at Encinitas Ranch (note that they changed the front/back routing a few years ago) were kind of bland and definitely had plenty of room for error off the tee. However, there’s a fantastic stretch of holes from 5 through 8 that are the highlight of the course in my opinion. 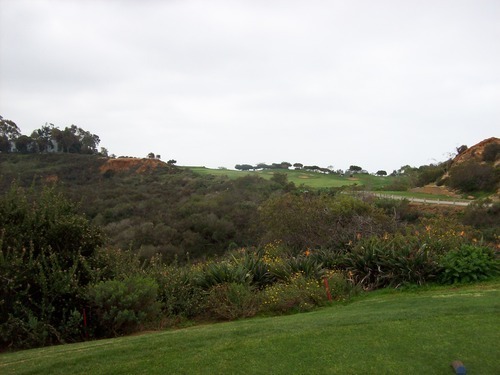 Here, they used the hilly natural terrain to craft some fun holes that offer plenty of challenge, especially holes 7-8, which are probably two of the trickiest on the course. 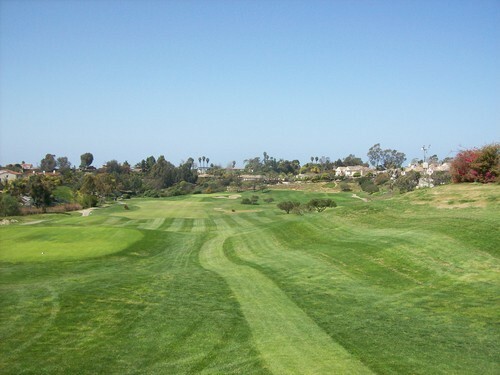 The 7th has you hitting straight uphill to a fairway that peaks in the middle and then doglegs left downhill. 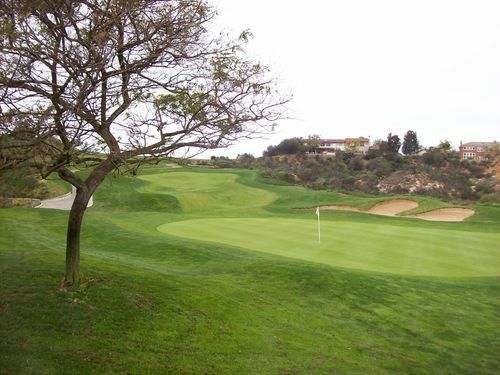 With the right tee shot, the green is easily accessible. 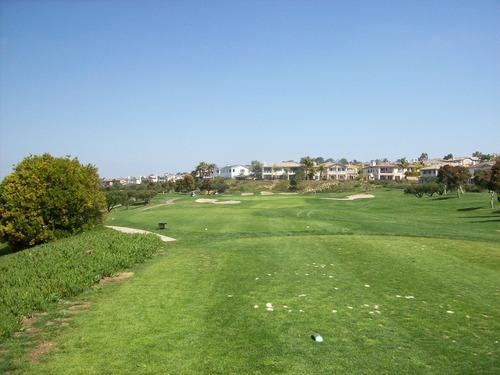 With a poor position off the tee, it’s a tricky hole. The 8th (primarily from the blue tees) is a long dogleg left with a pretty good-size forced carry over a canyon off the tee. On the back nine, the par-3 17th is probably the stand-out hole in my mind with a pretty long shot and water guarding the green short and along the right. The course was in decent shape. The greens were pretty much fully recovered from the recent aeration. I found a few bumps here and there, but they were mostly smooth. Very soft and very receptive. However, whoever cut and painted the holes wasn’t on his “A” game. He could probably get a side job doing make-up for The Joker based on the way they looked today. 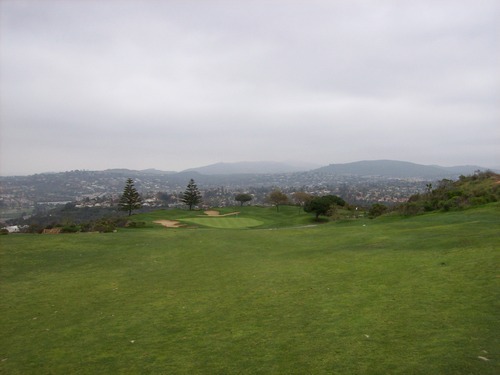 The fairways were pretty patchy, but I mostly had OK lies in them. 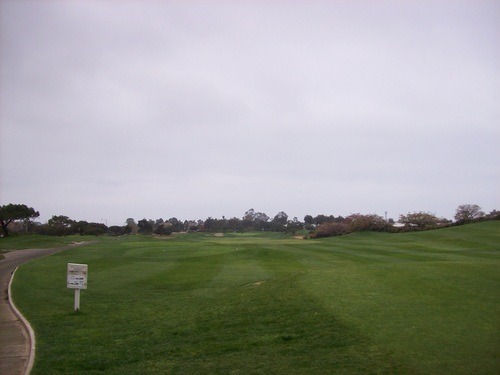 It seemed like there were several different grasses growing in, so the fairway turf was inconsistent throughout. 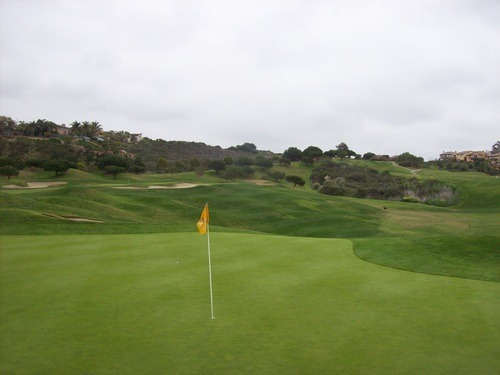 The rough was pretty good for the most part—not too punishing, but enough to make you work. The bunkers were very damp, so it was hard to get a read on the sand in them. The tee boxes were mostly great, but there was one blue tee (#14) that was in a horrible spot with a bunch of little depressions. Overall, I enjoyed the course and the layout. It was worth what I paid, but I probably wouldn’t rush to play here for anything over $60. There are some good ocean views we enjoyed once the morning haze lifted. 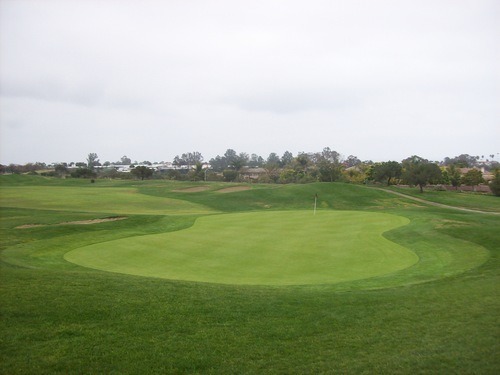 One thing to note about my round at Encinitas Ranch is that it represents the 299th different course I’ve played. 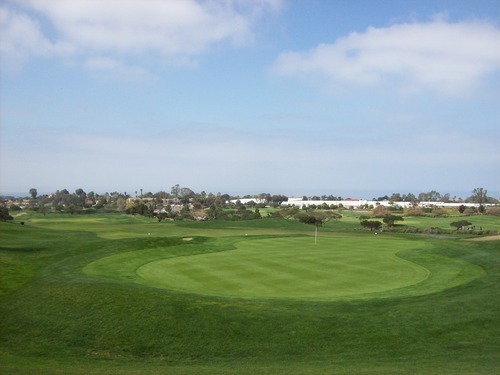 I have a Los Angeles Golf Group tournament tomorrow at Tierra Rejada, which I have played before, so Monday I will be taking a special day to celebrate #300 (and ideally #301) by playing at Torrey Pines Golf Course in La Jolla. I already know I’ll be a little behind on my reviews, so bear with me as I have a couple of busy days in front of me. 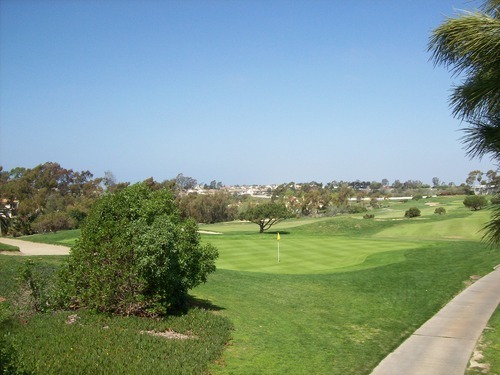 Speaking of my busy day today, stay tuned tomorrow morning for my review and photos of the LPGA Kia Classic 3rd Round, which I attended this afternoon at the beautiful Aviara Resort in Carlsbad. I had a great time out there and the event was wonderful, so I want to make a separate article out of it.